New York — Three bullets, fired at close range by two assassins on a black and blue Boxer motorbike on January 16, 2019, killed investigative journalist Ahmed Hussein-Suale Divela, according to Sammy Darko, a lawyer working on Divela's case. Darko told CPJ over the phone that bystanders saw it happen. Ghana's media community, international rights groups (including CPJ), and social media users around the world responded swiftly, mourning the loss and demanding justice. They may not get it. "I'm devastated because the life of a brilliant, dedicated and young journalist has been cowardly cut short. 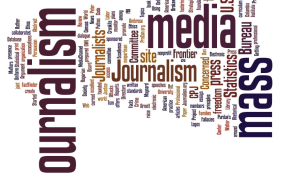 I'm angered because journalists in Ghana have never felt safe, despite our role very clearly recognized and sealed by the country's constitution," Emmanuel Dogbevi, managing editor of the privately owned, investigative Ghana Business News, told CPJ the day after Divela's murder. Fatal violence against journalists in Ghana is rare. In 2015, radio reporter George Abanga was also shot dead at close range; he is the only other journalist in Ghana killed in connection with their work since CPJ began keeping global records in 1992. According to CPJ research, he had been investigating a cocoa farmers' dispute in western Ghana and covered other political tensions. No one has been held accountable for ending his life, and his reporting. Impunity prevails in another recent attack that police committed to investigating. In March 2018, as CPJ reported, journalist Latif Iddrisu said he was dragged into the criminal investigation department (CID) headquarters in Accra and beaten by a group of police officers for asking a question while reporting on a protest outside. He was left bloody and a medical report at the time identified the "suggestion of right frontal bone fracture" in his skull. Iddrisu this month told CPJ without elaborating that the condition of his head injury has since worsened. Similar to what followed Divela's murder, Iddrisu received a wave of solidarity from journalists and private citizens. The hashtag #JusticeForLatif flooded social media, but there has been no justice: "[T]he perpetrators are yet to be identified but the case docket has been forwarded to the Attorney General's office for advice," Ghanaian police spokesperson David Senanu Eklu told CPJ recently, 10 months after the attack. In the case of Divela's murder, local witnesses had watched his killers-one heavyset and one slim-loitering for hours on January 16 in the Medina neighborhood of Ghana's capital, Accra, confused about who they were or what they wanted, Darko told CPJ. The two men were conspicuous in a way that their target and the rest of the Tiger Eye Private Investigations team, headed by the undercover journalist known as Anas Aremeyaw Anas, had always sought to avoid. Anas and those with whom he works hide their identities. Divela had told CPJ he feared for his life after an image of his face was broadcast on live television by Kennedy Agyapong, a member of parliament from the ruling New Patriotic Party (NPP), accompanied by repeated threats. During radio and TV appearances in May and June 2018, Agyapong railed against Anas and his team's undercover method of investigating corruption by secretly filming officials allegedly accepting bribes. Visibly angry, he directed staff of his own Net 2 TV channel to display Divela's picture and called for those listening to attack the journalist on sight. Parliament has not taken punitive action, but on January 29 an opposition member submitted a complaint against Agyapong, specifically pertaining to his threats against Ahmed and Anas, and it has been referred to the privileges committee that deals with disciplining parliamentarians, Osei Kyei-Mensah-Bonsu, the majority leader in Ghana's parliament and fellow NPP member, told CPJ. Agyapong did not answer CPJ's repeated calls for comment since Divela was killed. He told Joy News on camera that he did not regret broadcasting Divela's face and said police should investigate Anas. On January 21, Ghanaian police issued a statement saying they had spoken with Agyapong and Kwesi Nyantakyi, the former Ghana Football Association (GFA) president, and were following "significant leads." Agyapong's threats came days before the premiere of Anas' film "Number 12"-which featured Nyantakyi accepting $65,000, resulting in a lifetime from ban FIFA, and is now part of a corruption investigation by the Ghanaian government, Darko told CPJ. Divela had been assisting prosecutors, the lawyer said. Oppong Nkrumah, Ghana's minister of information, told CPJ on January 24 that the government and police were keen to get to the bottom of who killed Divela, but said it was still in question if the attack was related to his work. Nkrumah said he was not aware of the details surrounding Abanga's shooting in 2015, and on Iddrisu's case said the government "continues to encourage the police to be professional and diligent in their work." Today, Eklu confirmed to CPJ that authorities have not arrested anyone in Abanga's case and that the investigation is ongoing. Augustine Kingsley Oppong, chief inspector and police public relations officer for Brong Ahafo, the region where Abanga was killed, told CPJ he is committed to getting to the bottom of Abanga's murder. In early May 2018, journalists from around Africa and the world met at a hotel in Ghana's capital to discuss and celebrate the media's role in holding power to account. It was World Press Freedom Day and Ghanaian President Nana Akufo-Addo addressed the gathering with praise for his country as one of the safest places in Africa for journalists and the media's role in a healthy democracy. Later that week, sitting in his Accra home after the conference, Iddrisu told CPJ he hoped the police attack against him would spark a "new conversation" about press freedom in Ghana. He is now less optimistic. "If the police had dealt with [the officers] that assaulted me, it would have sent a strong message," Iddrisu told CPJ this month. "Because they failed to act, people think they can break the law, they can assault journalists, and even go to the extent of killing a journalist and get away with it... now my brother, a colleague, is shot and murdered in cold blood... it's heartbreaking." Dogbevi, from Ghana Business News, told CPJ he also believed the lack of accountability for attacks against journalists would encourage more violence: "Unfortunately, I don't feel confident in the ability or willingness of the state to protect me-the example of Latif Iddrisu says all."